It’s well worth reading and is something of a preface to her upcoming book, “Divided Spirits: Tequila, Mezcal, and the Politics of Production,” due out this September from the University of California Press. We are really looking forward to that and will definitely post our notes on it as soon as it’s available. This book tells the stories of tequila and mezcal, two of Mexico’s most iconic products, to investigate the politics of protecting local products in a global market. As people yearn to connect with the people and places that produce their food, the concept of terroir—the taste of place—has become increasingly salient. The growing global demand for tequila and mezcal has led to fame and fortune for a handful of people, while excluding and marginalizing many others. Thess cases analyzed in this book illustrate the limitations of relying on alternative markets to protect food cultures and rural livelihoods. 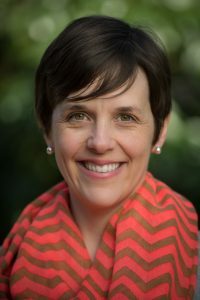 Sarah has published widely in the academic world about the history and contemporary issues with how tequila and mezcal are managing their Denominacion de Origen. It’s a huge story in Mexico and part of an even bigger one as producers of traditional goods as diverse as cheese and spirits struggle to retain control over their intellectual and cultural property in an increasingly globalized marketplace. Mezcal is currently embroiled in exactly this discussion about the proposed NOM 070 and Sarah delves into this debate that apparently pits authentic back country distillers against industrialists. But that romanticized portrait is only part of the story, significant issues are seldom discussed like who’s really getting paid? Is that romantic story even true? Is it sustainable? Is the agave listed on the bottle even in the mezcal? And, perhaps most important she raises the big question of whether the industry has to stay static like a fly in amber or whether it can become a dynamic force. We talked recently to delve into these questions, how she sees the mezcal industry developing in the face of NOM 070, and what role North American consumers play in the entire debate. How did you get started studying the world of mezcal? I have been looking at this topic since 2002. I started out looking at the shift to agave cultivation in southern Jalisco during the agave shortage in the early 2000s. I did my dissertation on the Denominación de Origen for tequila, and I have been studying mezcal for about six years. In all this time that I’ve been looking at the history of regulation of tequila and mezcal, it seems like it’s been going in one direction. Almost all of the changes made to the regulations have been expanding the markets for tequila and mezcal and increasing exports. It’s not at all in the direction of helping small farmers and producers. In the last few years, with the failure of NOM 186 and now the proposed revisions to the norm for mezcal, it feels like we are seeing a major shift in the evaluation of the tequila and mezcal industries..
Why now? Who’s behind it? My article in Gastronomica is about the campaign against NOM 186 and the proposal to copyright the word “agave.” American bartenders, retailers, and consumers played a big role. In my interviews, people that had been organizing against the campaign told me that no one was really paying attention until realized that boycotts by American consumers were possible. That played an important role. The case of NOM 186 offers a lot of hope, because there’s this movement coming out of the US and Mexico, of people who care about artisanal mezcal and are aligning themselves with small producers. This offers small producers an opportunity that, unfortunately, they wouldn’t have on their own. As Americans that care, we also have to be careful because our interests don’t necessarily align with those of the small mezcal producers. We really need to think about our role. How would you encourage American consumers to think about this and act? 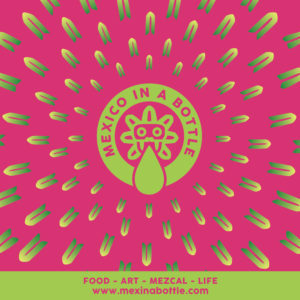 Try to be educated about how mezcal is produced. It’s hard to do when you’re here in the US. Try to know something about how producers and farmers are being paid. This can be difficult, because not all companies want to be transparent about this. But we should support companies that are paying the workers and producers well, not just because their mezcal or their tequila tastes good. The most important thing is to start talking about the workers and producers. Can you offer any specific guidance to consumers? Are there any brands they should follow, any specific stories? There are some interesting brands like Mezcal Sanzekan, which is owned by a cooperative of mezcal producers, or Real Minero, which is Mexican-owned. But then there are other models too, like companies that are part Mexican, part American, or Americans that are working with small producers in respectful and fair ways. Part of the issue is that getting into the American market is hard to do, so Mexican producers frequently have to work with someone else to get access to the market. My main point of hope is that so much has changed in past 10 years. Just the fact that consumers are talking about all these things makes me really hopeful. When I started this research, no one was talking about terroir, there was hardly any artisanal mezcal available in the US, and no one was talking about environmental practices and sustainability. Now that’s what we talk about. I think that talking about workers and producers is the final step. There isn’t a hard and fast rule; it is hard to figure it out. But I am heartened by the fact that people are talking about mezcal in a more thoughtful way than they were even 5-10 years ago. What do you think of the proposed Norma? I was shocked by the proposal, because it is just a radical break from the previous norma for mezcal and the tequila norm. But the problem is that we have no idea what’s actually going to happen. If something even close to the proposal passed, it would be a major shift. As part of my book, I analyzed the regulations and the Denominaciones de Origen for tequila and mezcal. Since 1949, they have evolved in one direction: towards making mezcal and tequila less specific, less tied to particular places, with a focus on expanding markets. The original mezcal norma was almost an exact copy of the norm that regulated tequila, so the proposal is a big change. I’m intrigued to see what will happen. Are there any other models people should think about other than European wine? My dissertation research compared the Denominación de Origen for tequila with a case in France: Comté cheese, which is protected by an Appellation d’Origine Contrôlée (AOC), which is France’s version of a Denominación de Origen. Comté cheese is exemplary even in France. That case showed me what a focus on tradition and terroir can do. The AOC included rules that preserved the specific characteristics of the region, but that also had positive effects on farmers. As an example, they had a rule that all of the milk used to make Comté cheese had to come from within a 25 km radius of where the cheese was being made. This helped preserve the link to terroir and the taste of the cheese, but it also helped small farmers and cheesemakers, by discouraging industrial groups form coming in, because the made it harder for them to industrialize and achieve economies of scale. So there are examples that show the potential for what these kinds of labels can do. But it’s important not to idealize it too much. There are lots of examples of AOCs in France that are industrializing, where big companies are buying out out the small ones. So it’s not a perfect solution. You have to look in Mexico for things that will work there. To my knowledge, tequila is the first Denominación de Origen outside of Europe. Mexico is very different from Europe, so the exact same model isn’t going to work there. What is odd about Denominaciones de Origen in Mexico is that the legal definition is basically an exact copy of the French definition, but even though the idea of terroir is right there in the definition, in practice, the rules have never gone in the direction of preserving tradition or terroir. Some of the producers and retailers that I’ve talked to have proposed having smaller Denominaciones de Origens, which would be linked to a particular village or region, where there’s a sense of tradition in how mezcal has developed in that place. Politically what examples are mezcal makers looking at? Do they just look at the tequila model? I’ve talked to many mezcal producers who say, “Look at tequila; it’s been very successful. They built the market and improved quality.” That is true. The market for tequila tripled between 1995 and 2008. By many measures, it’s been very successful. But it has not been successful in terms of protecting the agave farmers, the environment, or the traditions that make tequila unique. The interesting thing about mezcal now is that there’s this divide between those who want to follow the tequila model, and people who don’t want that. Mezcal still has many small producers and traditions that have developed in particular regions, and there is still a chance of preserving that. The path for tequila has basically already been chosen. Politically, who knows? The role of the US matters. The United States has a lot of influence in Mexico. The United States agrees to protect tequila and mezcal as Mexican products, but we don’t recognize the concept Denominación de Origen as a legal concept. As an example of the influence of the US, a few years ago, a lot of people, including the president of Mexico at the time, proposed requiring that all tequila be bottled in Mexico. But they backed down due to opposition from the bottlers in the US and some of the tequila companies, many of which are owned by multinational companies. That case demonstrated the power of the US. In Mexico, the the revisions to the laws that established the procedure for establishing quality standards (the normas) for all Mexican products in the early 1990s were part of a fundamental neoliberal shift in Mexico, focused on increasing access export markets and foreign capital. The normas and the Denominación de Origen are not focusing on preserving tradition and terroir. They are about preserving market access. 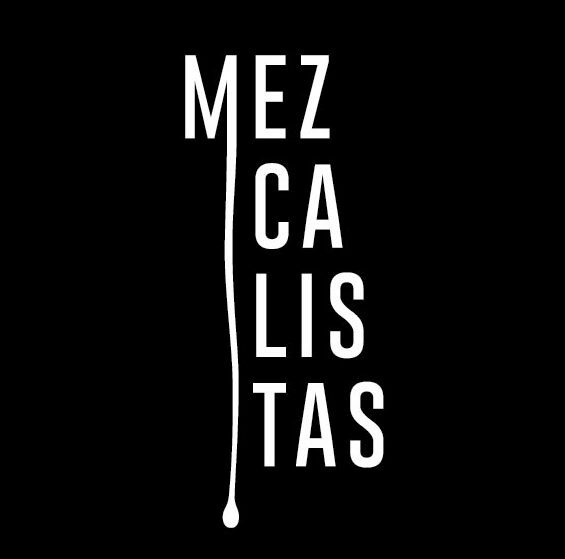 It will be interesting to see what happens with this proposal to change the normas that regulate mezcal. Whatever happens with this proposal will tell us something about which way the wind is blowing. What about tequila? Could it change? I interviewed a lot of tequila producers in 2006, and I think maybe one person used the word terroir. Many farmers, and some of the tequila producers, would talk about the way the agave grown in certain regions had particular characteristics, so there was definitely an understanding of the idea of terroir. But now there is a lot more emphasis on terroir. Some companies are saying that their tequila is single estate tequila, or even from a single farm or ranch. So there has definitely been a huge increase in how much people are talking about terroir. I think that some companies are doing interesting things, but I also think that some companies rely on a rhetoric of terroir, while continuing to source their agave from different regions. This may happen even more during periods of shortage. For the big companies especially, their strategy involves sourcing agave from all over the DO region, to get the best best price and supply. And of course, some companies have been accused of illegally buying agave from Oaxaca during periods of shortage. 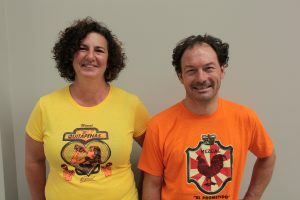 So in terms of really preserving a link to terroir and helping farmers and communities, for the biggest tequila companies, their talk about terroir and place is just rhetoric, because if they were really talking about it, it would really make them less flexible and put farmers at an advantage. We need to be talking more about the role of farmers in the tequila industry. But even when we’re talking about single estate tequilas, we’re not talking about how farmers are paid and treated. There are a lot of risks associated with cultivating agave for farmers, because it takes so long to mature. The prices fluctuate, and there is a lot of uncertainty. There needs to be more talk about the role of farmers and agricultural workers, and how they are being compensated.